This time it’s not an attempt at cramming Windows XP onto a mobile device. 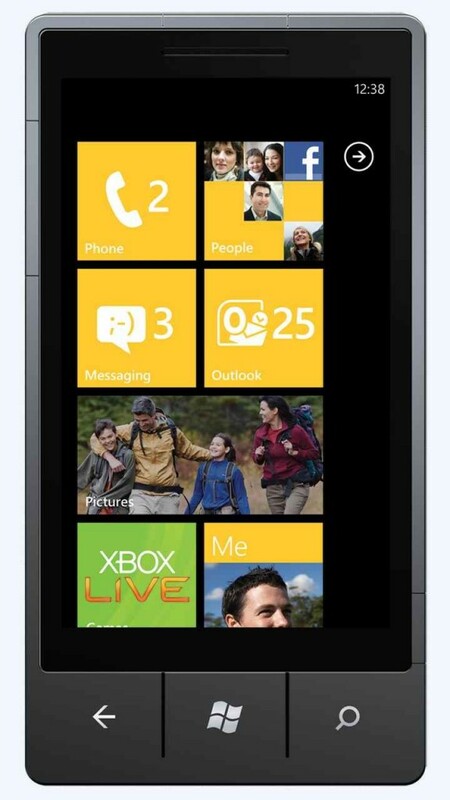 Windows Phone 7 has great potential. This time Microsoft has released a mobile phone operating system which they believe has what it takes to compete with leading smart phone leaders Android, Apple and Blackberry. With Windows Phone 7 (WP7) Microsoft has targeted the consumer market with a completely new user-friendly interface with real time applications and features keeping users constantly up to date with social networks, contact information, email and various applications. Top manufacturers HTC, Dell, Samsung and LG have at least ten devices released fully operating Windows Phone 7 with promises to have additional devices launched in 2011. Firstly, WP7 device requirements are demanding yet understandable in order to keep up with the rest of the smart phone market. Internally a device must have a 4-point capacitive touch screen display (800x480), 1GHz processor, a DirectX9 rendering capable GPU, at least 256MB of RAM and 8Gb of flash memory, an accelerometer, a light sensor, a proximity sensor and GPS. External requirements are a 5.0 megapixel camera with an LED flash and 6 dedicated buttons: Start, search, camera, power/sleep, volume up/down and back. These hardware conditions are expected given the specifications of the iPhone 4G, the BlackBerry Torch, and the soon to be Android 3.0 OS. WP7 has a lot of what you would expect from Microsoft making an attempt to enter the smart phone's consumer market, and a lot you wouldn't. The incorporation of similar task management and navigation to that of the Zune HD(Microsoft's response to the Apple iTouch) and Xbox grant Windows Phone 7 its own unique style and twist to a smart phone OS, especially its interface. Windows fans will be pleased with the inclusion of Microsoft Office and Internet Explorer Mobile, hopefully more reliable than their infamous PC browser. The user interface has managed to incorporate live updates and an overlapping system which is incredibly intuitive and easy to use. Tiles make up the scrollable Start screen, more commonly referred to as the home screen, which are essentially links to applications and features. These tiles are of course constantly updated with new information regarding whatever that specific tile has to offer. A simple example being; a live update showing the number of unread emails for the mail tile, and similarly a weather tile which displays current weather conditions viewable directly from the home screen. Tiles are just one customizable part of the interface allowing for users to move, remove and create tiles as they please. networks and email listings, all relevant information regarding a single contact can be seen using a created contact-specific tile. Hubs are tiles consisting of relevant local and online content specific to music, videos, pictures, people and more. The People hub, for example, shows contacts and their relation, if any, to several social networks such as Windows Live, Facebook, Gmail, Xbox Live etc. whereas the pictures hub includes local pictures taken on the device's camera and access to online albums from social networks. WP7 in October revealed over 2,000 available apps. This includes an experience similar to that of the Xbox console's where users can view leader boards and chat with Xbox Live friends. There is undoubtedly a multiplayer incorporated gaming system but unfortunately it is currently only turn based. Kevin Unangst, Senior Director of PC and mobile gaming for Microsoft told IGN that multiplayer capabilities will surely expand and the hope for real-time multiplayer gaming will eventually be met. As to when, all we can do is wait. WP7 is certainly a high dive into new waters which has left Microsoft lagging in areas many may find essential; such as not even being able to copy, cut or paste! Also, internet tethering, video calls, Bluetooth file transfers, MS office security, and custom ringtones are a number of features which are unavailable at the moment but, for now Microsoft have confirmed they will include several, if not all of these features in 2011. Needless to say, Microsoft has taken their stand in what is a constantly expanding smart phone competition and certainly come a long way from previous OS designs. It will be exciting to see how they will progress and to what heights their software will strive to reach.